Of the nine children born to Edward and Mary Dyer over twenty years between 1812 and 1832 only two were boys, both called Edward, and only Edward William, the second boy survived childhood. Edward William (Danny Dyers’s Great Great Great Grandfather) was born in 1823, when old London Bridge was still standing, and a Waterman could still make a decent living ferry people through the tidal race of its narrow arches. Unsurprisingly, to paraphrase the song by the cross dressing Victorian music hall songstress Vesta Tilley, “…he was following in his Father’s foot steps, he followed his dear old Dad”, and indeed he did, he was apprenticed as a Waterman to his Father as a boy, but by early adulthood Edward William had realised that the pickings from this trade would be slim, London Bridge was now easily passable for the smaller steam boats coming up the Thames, and quays were being built out into the stream to allow people to be easily put ashore without the need for Watermen to get them there. So Edward William decided that if you can’t beat ’em, you have to join ’em, and moved into an up and coming industry in the ship yards of Poplar as a Boiler Maker. Boiler making was basic riveting and metal bashing to make the boilers that powered every steam ship on the river, and that carried Great Britain’s trade across the world. The work was in high demand and ranged from unskilled metal bashing, to semi-skilled riveting. No strangers to muscular work, Watermen with broad backs and strong arms, and contacts in the Docks found it easy to move from their whereas to take up the hammers in the ship yards to turn metal into works of steam combustion, and the wages were steady, men knew what they would take home, when they would clock on and when they would clock off, they had turned from self employed water taxis to wage earning, industrial artisans. 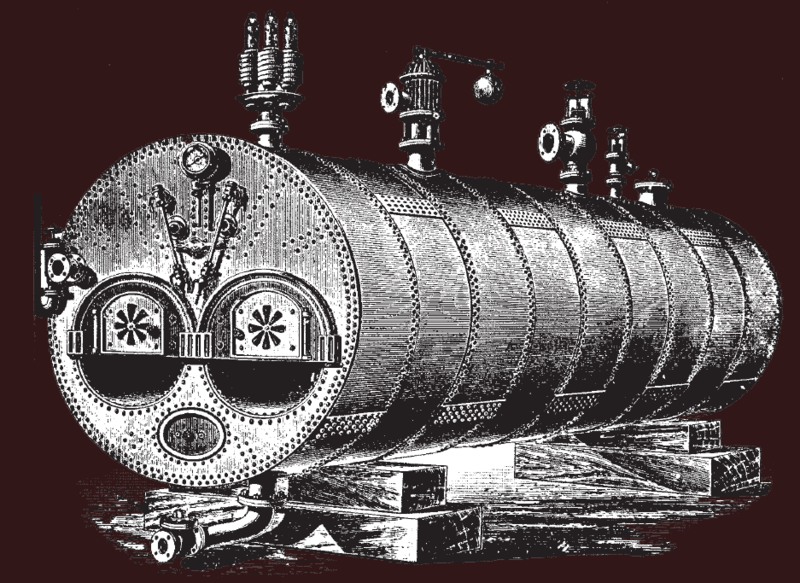 Boilermakers were skilled, and compared to many of the trades in the Docks, could be creative, and offered an element of autonomy in their work outside of simple muscle power. The other interesting point is that Edward William moved into this trade immediately after the aptly named, Commercial, or London and Blackwell Railway, was built linking Blackwell and Limehouse to Fenchurch St station. As we shall see, this pattern of docks and new railways would be a pattern of employment criteria for Edward William for many years. London was booming, there was work for any able bodied man or woman, or child, who wanted it, provided they would work for fairly low wages. To this magnet for the poorly off flocked labourers and servants from all over the country, and in the late 1840s whilst labouring in the Docks Edward William met Jane Maria Sparks, a Labourer’s daughter from Cosham near Portsmouth. Jane Maria had left home to find work in London, and had instead found Edward William, strong, self assured and muscular, a man who’s family had lived in Poplar for more than a hundred years, well known in the area, he was not getting any younger at twenty seven, and liked the look of the fresh faced country girl, of seventeen, so much so that by 1850 she was pregnant, with his first son Edward Thomas James Dyer, but the Boiler maker did the right thing, and married Jane Maria at Christ Church on a sunny day 30th June 1850. 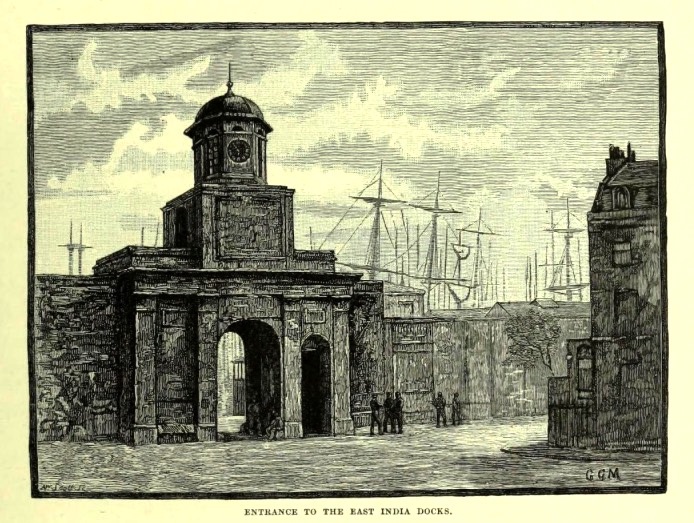 Royal Dockyards of Portsmouth, where Jane Maria’s Father worked, and here the couple would have their second son Alfred William. After Portsea, the Family travelled to Lowestoft in Suffolk in the mid-1850s (pictured below), where ship building and engineering works were booming, once again due to the coming of the railways which had boosted fishing and steamship shipbuilding, very similar to the activity at Folkestone, and given that the railways at both Folkestone and Lowestoft were developed by Sir Samuel Morton Peto, it could be that Edward William was contracted to one of Sir Samuel’s companies, travelling to where need was greatest for boilermakers to work on steam trains and steam ships. The Family’s stay in Lowestoft was mixed, work was good, and Edward William was in a good place career wise, but in 1856 and 18 58 they would lose two of their children; Esther Maria, who was less than a year old, and Alfred William at six years old. After the deaths of the children, the Dyers were no doubt happy to put Lowestoft behind them, but reluctant to have to leave their two children in the graveyard at Mutford, but life must go on, and they were back in Poplar in 1859, but within a year, Edward William takes the family to Minster next to Sheerness, a Royal Naval Dockyard on the Isle of Sheppey in the Thames Estuary. This was the same year that the Railway arrived in Sheppey, so Edward William was once again specialising in working at ports that were being connected to the Railway System. Leaving Lowestoft obviously helped the family, as from then on no more children died in childhood. By 1864 Edward William has moved the family back to London, to Limehouse, where he was working in the docks as plater and Iron Worker building iron Ships. This was a step down in status from a boiler maker, and more likely related to riveting on large ship builds, rather than the more skilled work he had done previously. But the family thrived, they would have another seven children in Poplar in the 1860s and 1870s. Edward William at 48 and his eldest son Edward Thomas became unemployed Iron Shipbuilders in 1871, and would need to work through hard times outside of the family’s control, The world economy started to go into a long depression caused by speculation in Germany and Austria on the back of massive over ambitious speculation sparked by Germany’s convincing win over France in the Franco-Prussian War, investment poured in and was lost through over-ambition, greed, and fraud, having a knock on effect to economies across the world. At the same time that this was happening shipbuilding had started to move from Iron to Steel ships, making it harder for skilled muscle power to compete with machine tools, and there had also been a swing in the concentration of shipbuilding from the Thames to Scotland and the North East of England, where there was easier access to coal fields and iron mines to produce steel nearer to shipyards. But life is strange, and when Edward William does find work again it is back in his old skilled trade as a boiler maker, and for the next twenty years Edward William would variously work as a boiler maker, a plater, labourer, and iron ship builder, always in the Docks of Poplar, and turning his hand to whatever paid for the burgeoning family. edward would continue working in the Docks well into his 60s, and would die in 1896 at the age of 73, his wife Jane Maria would outlive him by 9 years, also dining at 73 years of age in 1905. Both died in Poplar, surrounded by their extended family. The Thames was t he main thoroughfare of London, its name goes back to pre-Celtic Indo-European languages as Temisios, to the Romanised version as Tamesis, the name just meant dark or muddy river. The river kept its name as Tameis until the 16th century, when an “H” was added in order to try to reinforce the false idea that the name was derived from Greek and Celtic. The many foreign sailors who plied the river called it “The London River”, but to Cockneys, to this day, it is just “The River”, everyone in London knows which one you mean. The River has two different physical parts; the tidal part reaching from the North Sea and English Channel to Staines, which meant that the level rose and fell up to 28ft at some points, and indeed The River could be seen to flow in both directions, both upstream and downstream depending on the direction of the tide, lending the river a strange and mystical air to the natives who settled on its banks; a river that flows backwards at certain times of the day was indeed a strange thing. On this tidal stretch the river rarely flooded more than the marshes on its banks, but could summon up a terrible flood when influenced by tidal surges from the North sea. The tidal river brought the wealth of the world’s nations to London in commercial trade, plus more domestically, the Coal and Timber of the North of England, the Limestone of Southwest England, as well as the fruit and veg of the market gardens of Kent and Essex. The other half of The River, the non-tidal part, flowed from its source in Gloucestershire down to Staines; faster flowing, fed by the rain off the fields and hills, and tending to break its banks to feed the fields that grew the corn and cattle to help feed London. In these ways The Thames extended London’s reach from Gloucestershire to the North Sea along its navigable length of over 230 miles. 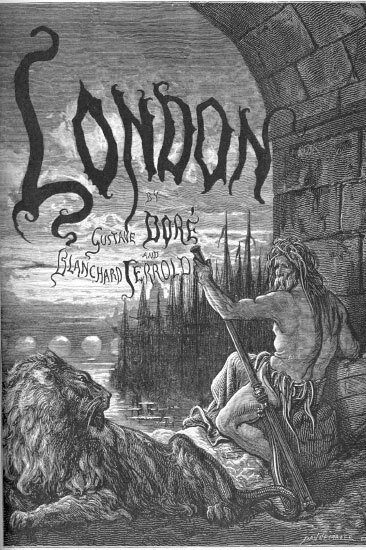 However, as well as the division between Tidal and non-tidal Thames, there was a much more local division to London. As already mentioned in Part 1 of Danny Dyer’s Family History, London Bridge, built on a shallower part of The River, stopped the travel of larger vessels upstream. This meant that to get upstream through the dangerous arches under London Bridge took great skill and experience, unskilled boats were frequently capsized trying to shoot the arches of London Bridge, and many passengers were drowned and goods lost. In an age of poor roads, in a crowded City, where the easiest and fastest transport was by boat, the need for skilled and trusted boatmen was high. It is into this environment in the boom time of the British Empire, that Edward Dyer (Danny Dyer’s Great Great Great Great Grandfather) enters the story and takes his apprenticeship as a Waterman in 1803 at the age of 14. This meant seven years of indentured labour. In return for being clothed, housed, feed while he learned his trade, Edward would agree to work six days per week for his Master, wouldn’t swear, gamble, or take strong liquor, and absolutely could not marry during that time, he may have received no wages at all, or perhaps the odd piece of pocket money, a hard life for a boy, but at the end of it he would be a man with a profession, licensed to carry passengers and goods safely on the Thames. 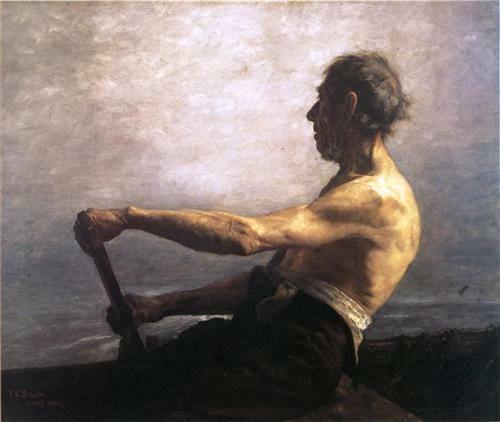 He would also have developed a physique to match his work’s demands, pulling on big oars in a Thames Wherry up, down, and across the river, six days per week, several hours per day, would build a magnificent physique, a strong back, big arms and shoulders, and calloused hands with a vice like grip, plus the stamina of a cart horse. 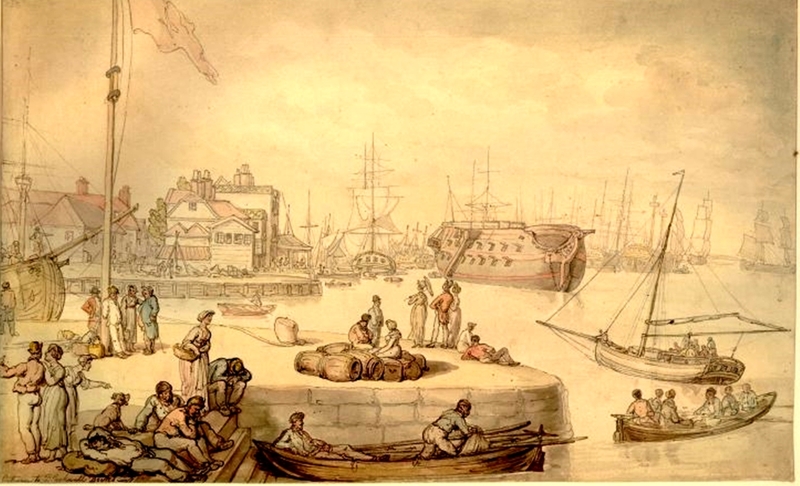 During his time plying passengers between the North and South Banks of the Thames, Edward met Mary Robertson from Deptford on the Kent (South) side of the River, he was no doubt courting her between trips to and fro from the old East India shipyards at Deptford, to the new East India Shipyards at Blackwall, and, immediately after he finished his apprenticeship and was free to do so, he wasted no time in marrying Mary on 28th June 1810 in St Alphege Church at Greenwich. Ironically St Alfege was the Archbishop of Canterbury who was unlucky enough to have been captured by the same Danish Vikings who had captured London, and been seen off from by the Norwegian Viking Olaf (St Olave in Part 1 of Danny Dyer’s story) when London Bridge was pulled down. Alfege really was unlucky, his monks were unable to raise the ransom asked by the Danes for his release, so the Danes took him down near The River and executed him, on that spot was built St Alphege’s Church, and rebuilt in 1712-1714, this is where Edward Dyer and Mary Robertson married. The couple set up home in Butcher Lane Deptford, where their first child Elenor Dyer was born in 1812. The sojourn South of The River was short lived, and by 1814 when their second child, named Edward after his father , is born in Limehouse.The couple would have six more children up to 1832 all born in Poplar. Times were changing, in 1810 Locks were put in up River at Teddington, bringing the tidal reach of the Thames back 16 miles down river from its former reach at Staines, taming and controlling the River’s ebb and flow upstream. A more important change for Edward Dyer the Waterman was when London Bridge finally did fall down, this happened when the “new” London Bridge was built between 1825 and 1831, the old bridge was torn down once the new bridge was completed, and the new bridge had a major impact on the Thames Watermen. Much wider spans meant that progress for boats was much safer than it had been, so people could be transported with much less risk, and this was taken advantage of by unlicensed watermen, swarming like unlicensed mini-cabs to transport travellers up and down the river. 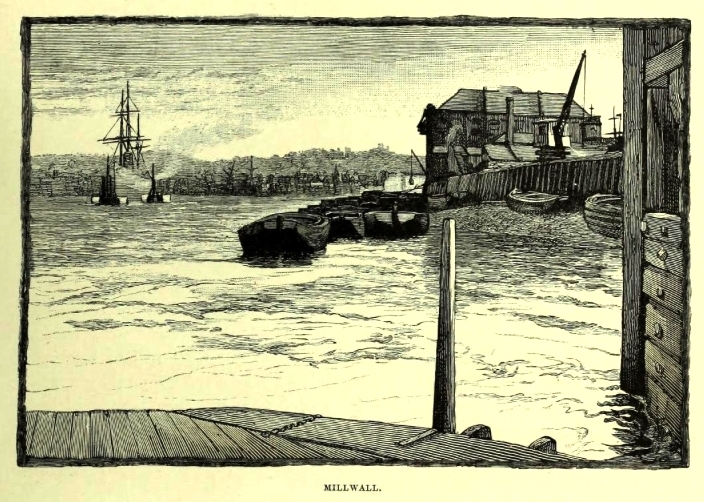 Worse still, steamboats came onto the river scene in large numbers from the 1830s and by 1835 it was estimated that around 3.5 million passengers travelled per year between The City and Blackwall, virtually all by steamboat. Watermen would need to pick up adhoc passengers wanting private transport and any given time that it was required. This was reflected in the impact it had on Edward’s living, he temporarily went into transporting goods rather than people as a Lighterman in 1828, and the building of an Iron Bridge over the River Lea into Essex, and the roads linking Poplar from Blackwall to North Millwall, and on into the City meant that foot and horse travel was greatly improved all the way from South Essex into the City of London, with an associated decline in the need for the transport of travellers by Watermen on the river. This period also coincides with outbreaks of Cholera among dockside communities, and Edward and Mary lost three of their children in infancy between 1814 and 1831, Edward, Caroline, and Emma. But the early 1800s weren’t all bad news for the Dyers, despite the declines in certain routes for Watermen and the tragic loss of their children, work was always there as the Docks boomed, so there was always a background demand for transport, and Mary’s family connections across the Thames in Greenwich and Deptford opened options for transporting workers across to Blackwall as the new and expanding docks drew in many workers from south as well as north of the river. And big families meant at least some children would survive. Just as the Dyer’s Family had risen in three generations from 4 and then 6 Dyers, to Edward and Mary’s Family of 11 children and adults, albeit reduced by the Cholera Father Thames brought to their door, Poplar had also grown from 1,000 people in the 1600s to over 4,000 in 1801, and tripled again to more than 12,000 by 1821. The Dyers lived in Alpha Street. Alpha Street had an interesting history, as it developed from the old Poplar marshland path which ended in the local Beer House and a few cottages, a welcome sight for any lost travellers that had wandered through the marshes of pre-industrial Poplar. This sounds innocuous, but the sight of the tavern and the Watermen’s cottages appearing out of the mists of the Poplar marshes would also have been a welcome sight to men travelling with carts and pack horses filled with luxury goods, which may have avoided Customs Tax on its way over from France and the Netherlands. Goods were brought to landing places at Blackwall and the River Lea by the (alleged) smuggling Foreman family (ancestors of Jamie and Freddie Foreman of acting and Kray Twins fame) bringing goods upriver from their Boat Yards at Faversham, a handy route avoiding the Royal Naval Cutters on the Isle of Sheppey. Enos Redknap (ancestor of Harry and Jamie Redknapp of footballing fame) Landlord of The Gunn Inn at Cold Harbour would be a man to deal with, under the patronage of the Royal naval Boatyard close by, the sailors turning “Nelson’s Eye” to the unofficial business ventures of this man from a long line of King’s watermen. Redknap’s men would wend their way through the Poplar marshes, and would need more than a pint of Ale when they arrived at the Inn on Dolphin Lane, they would be looking out for a meeting with Edward Dyer a fellow Waterman from the lane, to row their packages across to the Wealthy residents of Greenwich and upriver to the City of London. As the marshes in North Millwall were dug out to build the docks for the East India Company, Alpha road developed a position as a route between the Millwall and West India Docks. 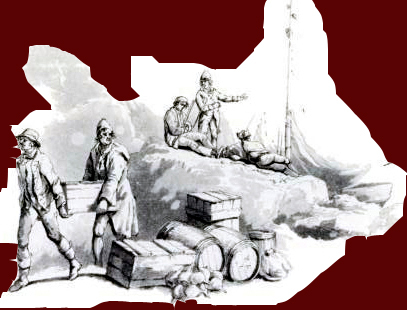 The days of smugglers were coming to an end, to be replaced by the Dockers and shipwrights. The older cottages from the 1700s penetrated by the cold and damp miasmas of the marshes, a harsh environment to try to raise nine children in, both the floors of houses and the marshland paths were dirt based, but by the early 1800s these were starting to be replaced by houses thrown up by speculators which were still rough and slum like, but set out in straight lines with wooden floors along cobbled streets. Times were changing, some things for the better some for the worse, Edward and Mary’s surviving daughters would marry local Smiths, Boiler Makers, and Shipwrights, and their one remaining son Edward William Dyer (Danny Dyer’s Great Great Great Grandfather) would serve as an apprentice to his father as a Waterman, and his Father Edward would persist in his trade as a Waterman, but the takings were ever diminishing, and in Edward’s case would lead to poverty and eventual death In Poplar workhouse in 1864, Mary outlived him by a few years to 1867, moving one of her daughters and her family in and working as a Housekeeper. Both Edward and Mary Dyer had lived into their seventies, a good age for working class people in early Victorian London. But now the steamers on the Thames easily passing London Bridge and offloading their passengers onto purpose built jetties had stolen the Waterman’s Trade, the removal of trade barriers and a numerous Customs and Police Force spelled the death of smuggling, and the metal ships in the dockyards heralded a new age. We shall see in Part 3 how the Dyers adapted. The Redknapp Family History Part 2; Blackwall Taverns, Smugglers, and Jewish Ancestry? Given That Harry Redknapp has been a very popular Manager of London football team Tottenham Hotspur, who have a high London Jewish following, so much so that they have been known “affectionately” if inappropriately to the fan base (both Jewish and Gentile) as “The Yids” (an epithet that has caused much controversy, given its anti-Semitic roots), it is interesting that Harry may have some direct Jewish ancestry. So let’s delve into those roots. At the outset it is necessary to say that there is no unequivocal written evidence that Harry Redknapp had Jewish ancestry, but there is quite a lot of circumstantial evidence in support of the theory, and I have had some correspondence on this subject with Professor David Newman of Ben Gurion University Israel (and a Tottenham season ticket holder) who wrote an article referring to Time Detectives research on the subject for the Jerusalem Post. So, here we go; This part of the story starts with Harry Redknapp’s Great Great Great Grandmother Sarah Pressman, it seems quite likely that the Pressman’s were descended from Jewish Ancestry. If this is correct then her ancestors would have been one of the Jewish Families from Germany and the Netherlands who came to England from the time of Cromwell’s Republic and through the Georgian Period (1700s), there being perhaps more than 30,000 Jewish people in England by 1800, of whom maybe a third to half of the population in and around London. The Pressman name is extremely rare in England before the late 19th Century when there was a large influx of people with German/Russian Jewish descent from Europe. Before that the rareness of the name does tend to point towards a foreign origin rather than a corruption of an English name, such as “Priestman” or similar. Sarah Pressman’s Father Reuben Pressman was a Thames Lighterman from Poplar, he also was the Landlord of The Gun Pub at Blackwall. The Pressman’s had been Thames Watermen and Lightermen since at least 1707 around Rotherhithe on the Southbank of the Thames, just six years after the Beavis Marks Synagogue was built in London, still standing, and indeed the oldest Synagogue in England. 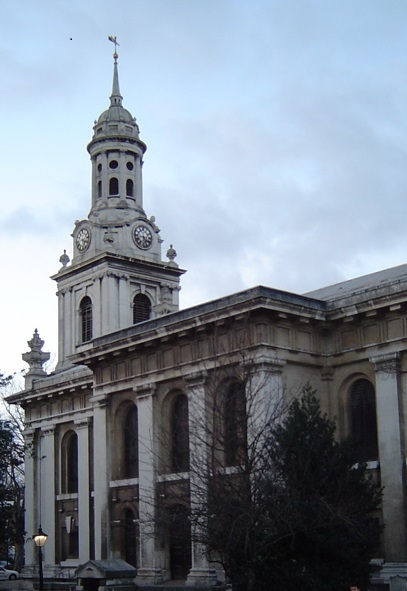 It is possible that the Pressmans belonged to a group of working class Jewish families that had integrated with other Jewish Families and local gentiles in similar trades, many had lapsed from practicing their original religion, and found it easier to get baptisms and burials performed at the local Church of England Churches, than risk the opprobrium of the more orthodox middleclass Jewish community at the local synagogue, much in the same way that most working class Christians would not bother with the church other than for baptisms, weddings, and burials. The other factor was that in the 1700s no Jew could become a Freeman of the City of London, which meant that it would be hard for them to work as Watermen, perhaps it was worth a not too religious family paying lip service to Christian ceremony in order to stay inside of the world of river borne commerce. And the example had been set by Benjamin D’Israeli, elected to Parliament in 1837, who had converted to Christianity to support his parliamentary career. Why not follow the example? Indeed the level of integration into British Society amongst the working class Jewish community at this time was widespread. 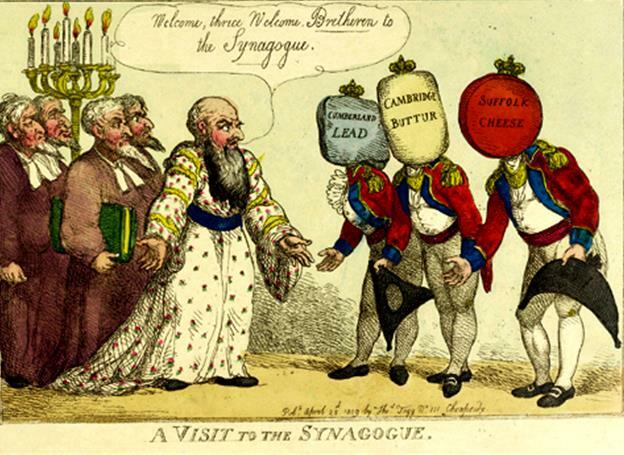 During the Napoleonic Wars Jewish Londoners joined up en masse for the East London Volunteer Regiments, to the point where they were such an important resource that the Royal Family visited Beavis Marks Synagogue to give thanks and to be entertained by the chief Rabbi, who had given dispensation to the volunteers, in order to be able to fight in the army, to swear the Protestant oath of allegiance and on the Bible, but cleverly on the Book of Leviticus rather than the New Testament. Unfortunately some prejudice still existed, and the visit was lampooned by caricaturists. The Pressmans married with the Argent and the Carvallo Families (originally Carvalho, probably from Portugal) and kept their Biblically Jewish first names, with Reubens and Hannahs, Josephs and Marys, along with Levis and Solomans. If the Pressmans had arrived in the 19th century, then we could say that they were most likely from Russia, but at the early date that they were plying the Thames it seems much more likely that they were from the Hanoverian holdings in Germany, or possibly The Netherlands, this may well explain why we find them on the River, if they had arrived from the main cities that provided Jewish immigration into Britain in the restoration and Hanoverian periods, then that would have meant Hamburg and Amsterdam, both famous for their canals and port traffic, which would have meant that the Pressmans could have arrived already skilled as Watermen and Lightermen. Their early date of arrival would also explain their intermarriage with the early arriving Sephardic Jewish Families from Spain and Portugal. Interestingly it was these typically Sephardic Jewish Families like the Carvalhos that gave Cockney Culture its trademark Fish and Chips developed from Iberian Salt Cod, and the Catholic habit of eating fish on Fridays, which would increase the habit for Fish and Chips when the Catholic Irish started arriving in numbers to London and living alongside the Jewish community there. The interesting thing about Reuben Pressman was that he was the Landlord of The Gun Tavern at Blackwall, right by the Naval gun foundries. The Tavern was just down the road from “Nelson’s House” at the docks, the Tavern is still there, and it is said by the owners that Lord Nelson had assignations with his mistress Lady Hamilton in the River Room of The Gun. This may also explain why it was rumoured that the Tavern was a centre of the smuggling trade on the River, perhaps the association with their beloved Lord Nelson ensured that the local naval crews helped turn “Nelson’s Eye” (a blind eye) to the activities of Reuben Pressman, and helped keep the revenue men at bay? The secret passageway under the Pub would have helped as well. 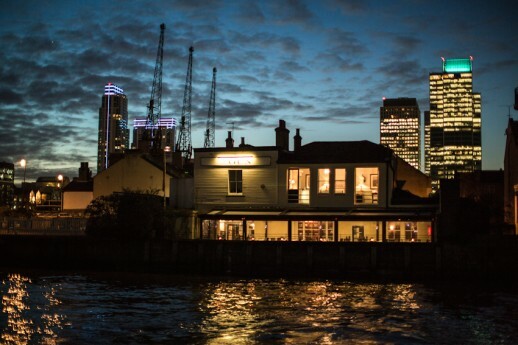 There would obviously have been a good living from both the Tavern in a crowded Naval and Dockside area, by the tax avoidance measures of the Landlord as a Thames Lighterman. and as a potential dropping off point for contraband. But it would seem that all good things would end, and by 1819 Reuben had died, leaving The Tavern to his wife, Hannah (Argent) with future income going to his children after his wife’s death. Running such an establishment, and the side operations, was not something to be undertaken lightly in a violent war torn age, and within a year Hannah had married Enos Redknap, a Lighterman and no doubt an associate of the Pressmans on the River. Bear in mind that the Redknaps were champion scullers, some of the fastest men on the river without a sail, and had the royal warrant so had friends in high places. Enos was fourteen years her junior, but no doubt could see the appeal of a Pub owning widow with both a legitimate business and possibly a lucrative side line (albeit with five children in tow, the eldest being only eleven years younger than Enos). But Reuben Pressman had been clever and even in death looked out for his wife, as his will specifically stated that should she remarry, no future husband would have any claim over the property and income he had left her. So Enos could enjoy the benefits of The Gun Tavern, without enjoying its ownership. Whatever the love interest was between Enos and Hannah, it was strong enough that almost exactly nine months later Arabella Amelia was born to the couple. Unfortunately Hannah’s luck with men was not great and eight years after their marriage Enos had also died at just 33 years of age. Undaunted Hannah married for a third time, Thomas Melvin, down river at Greenwich in 1834, although by now she was in her fifties, but within six years he had died and left her living under the protection of Thomas Argent one of her relations, Now Joseph Edward Redknap was the second cousin of Enos, and would have been a contemporary with Reuben Pressman, being related by marriage, of a similar age and both Thames Lightermen, perhaps the Redknaps also rallied round to support Hannah and her children after Enos’s untimely death. Joseph Edward Redknap, the Great Great Great Grandfather of Harry Redknapp was Sarah Pressman’s husband. He was born as the Napoleonic Wars ended, a time of celebration. He was a Lighterman, so transported goods rather than people on the Thames. He was following in the profession of his family working on the mighty Thames. Although born in Twickenham, he moved down river to Hammersmith and Poplar, this was a wise move, as with the growth of Empire a legacy of the gains made from the French and Spanish during the Napoleonic Wars, meant that imports flooded into London, and manufactured goods started to flood out. The new wealth caused London to grow massively, bringing a demand for building material, food from the Thames side market gardens, and coal for fires. The need now, was for goods transport and this had started to overtake passenger transport on the Thames as a means of earning a living. Joseph a strapping lad of 17 built up by years of rowing and racing on the Thames, would have cut a strong figure, and the attention of a slightly older girl of 21 was no doubt quite flattering to the young man, both had lost their Father, and the loss of Enos was shared by both, as Joseph’s second cousin, and Sarah’s stepfather. In any case the attraction was strong enough that their first child, Sarah Elizabeth Hannah Redknap (named after her mother and both paternal and maternal grandmothers) was born just 8 months after their marriage. No doubt the wedding hadn’t been exactly planned, but Joseph’s eldest sister Georgiana and her husband supported the young couple and acted as witnesses at the wedding. The couple were blessed with seven children, but it would seem that they both had to work to make ends meet, and this is evidenced by the fact that Sarah, their eldest daughter spends some time staying with her Grandmother, now Hannah Melvin, and the Argents. Unfortunately Cholera and other waterborne diseases were ravaging the people of London, especially along the Thames, and the family lost two children; Joseph and Reuben in 1839. Joseph Edward turns out to be another disappearing Redknap, there is no obvious death record for him, but he is out of Sarah’s life sometime between 1851 and 1857. By 1851 Sarah is living with her surviving children and some of the Argent Family in Poplar, she is shown as Married rather than widowed, but there is no Joseph present, and she is living in the same household as her mother Hannah Melvin. No doubt encouraged by her three times married mother, she remarries in 1857 to Levi Hill, and sets up home with him and her surviving children. Levi was a Railway Labourer, and the couple lived together and occasionally with Georgiana the daughter of Sarah and Joseph Redknap, Georgiana had married William Hudson, who eventually became a Publican and had his in-laws living with him and the family. Sarah died in 1882, in her sixties. Descendants of Hills and Argents would live in the same road as the local Synagogue, be treated in The London Jewish Hospital, and buried in Jewish cemeteries, more compelling evidence for good strong Cockney Jewish Fish and Chip eating roots in the family. These snippets of evidence; likely foreign origin of the Pressman name, the fact that the vast majority of Pressman’s in later years were German/Russian Jews, and the fact that the Pressmans in the Redknap family intermarried with Jewish Families and carried Jewish first names, all point towards the likely Jewish origin of this part of the Redknap Family. Personally I think the case is too strong to be ignored. The marriages of Enos and Joseph Redknap into the tight knit Cockney-Jewish community of the Argents, Pressmans, Carvallos, and indeed Hills, supported the family through Cholera child deaths, and multiple dead breadwinners, all held together by the strength of Hannah Argent and her daughter Sarah Pressman through thick and thin and mutual family support. By the middle of the 19th century Jewish emancipation was well under way, and indeed by 1868 Benjamin D’Israeli, a Jew converted to Christianity for career reasons, was Prime Minister. The most striking effect of the joining of the Redknap and Pressman families was that it moved he centre of gravity of the family from the West of London, where it had been for two hundred years, to the East of London. where it would be for another two hundred years. The name Redknapp, (also spelled Redknap, Rednap and Rednup) is derived from the colour Red and the old English “cnaep” or “knap” meaning a hillock or brow of a hill, but also a 15th century slang word for “head” as in “the knap of the case” for the head of the house. So “Red Knap” could either mean someone who lived on the “red hill” or much more likely, the person with the “red head”, and given the colouring of a number of bearers of this name the likely derivation is fairly obvious. Although there had been one instance of the name being spelled with two “p”s in the late 1700s, and various spellings with one and two “p”s and an “e” on the end in mediaeval times, this Redknapp family’s original name was spelled Redknap with one “p” for the whole of the 19th century, and only acquired the extra “p” as a standard spelling at the beginning of the 20th century when many names in working class families became fixed in their spellings. This was because from 1870 an act of parliament brought in compulsory schooling for children, and so all children (who actually went to school) were taught to read and write in Great Britain from that point on, and so would spell their name the way they first saw it written by an adult, their school teacher, that school teacher would spell the name however they felt like spelling it unless they were aware of how the local vicar would spell it in the Parish Registers, and that particular way of spelling the name would stick going forward, more of less unchanged to the present day. 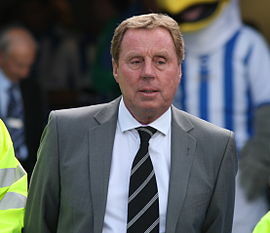 Harry Redknapp’s branch of the family are most likely descended from Redknaps who were Mercers in late Mediaeval London. Mercers were high status traders, the word being derived in English from the Old French Mercier (ultimately derived from the Latin Merx – trade goods, the same root as Merchandise). There were a number law disputes naming London Redknaps in various court cases over trading and trade goods, a long tradition that would carry on down through the generations, this and indeed the origins of the nickname Red-Head (Red-Cnaep) was undoubtedly a notable identifier of the Red Headed English RedKnaps amongst the dark headed French Mercers they competed with. It’s not hard to see where a link with trade in London turned into a link with the transportation of trade along London’s River, and Harry’s branch of the family were part of an extended family of Thames Watermen and Lightermen (Watermen rowed boats to carry people on the Thames, and Lightermen specifically rowed “Lighters” which were large flat bottomed barges) living on both banks of the Thames both on its western reaches of the “Surrey Side” and London, and on the central and Eastern regions of the “Middlesex Side” depending on the availability of work. their work was essential to the maintenance of the passage of goods and people through London before bridges and roads of the Victorian era started to devalue them. The Redknaps were not just any Rivermen, they were The King’s Watermen, chosen to row the Kings barge to transport him and the Royal Family along the River on State and more mundane occasions. It is likely that this connection runs back to their days as Mercers, perhaps they were tradesmen to the nobility, and the Riverbourne line of the family that formed Harry’s line profited from the association. They received uniforms every two years, and, as members of the Royal Household, were exempt from tax (that would surely strike a chord with Harry Redknap?). Despite this the Thames watermen were known for the foul language and irreverence, even to the Royal Family, so much so that it was said that one of the reasons that Handel was commissioned to compose his “Water Music” for the coronation and procession on the Thames of George I was to drown out the abuse and foul language heaped on the Royals by the Watermen. 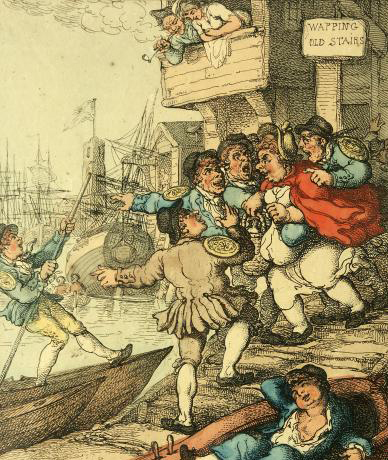 To the extent that comments that would have been treated as treasonous on land, were treated with humour on the Thames, as the watermen were incorrigible and beyond redemption. Their language was labelled “Water Language” and was infamous in London. The Redknaps rightly used this prestige to run a good business building boats on the Thames, transporting people as Watermen, and goods as Lightermen. 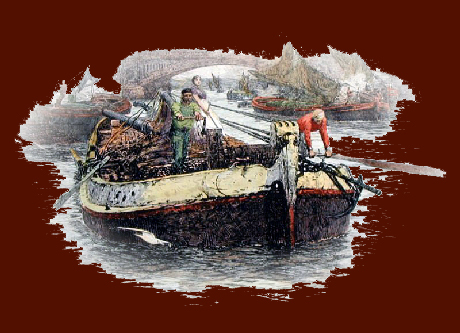 They fought hard for their rights, some times more than metaphorically, and ended up in court on one occasion for having a brawl with some land owners who took exception to them taking up passengers from their land, the cockney boatmen rolling on the bank and falling into some of the boats whilst grappling with their wealthy opponents. Watermen were a litigious lot, given the opportunities for theft of cargoes, and cheating in boat races, and for scores to be settled. The Redknaps were variously called as witnesses for disputed boat races, attacks on them in pubs (as in one Waterman saying to a Redknap “I here you are saying that you are going to give me a good hiding?” before punching him in the face), as character witnesses against false allegations of theft from non-licensed watermen settling scores with the Redknaps licensed men. But the Redknaps also had their more serious run-ins with the law, Enos (aka Enoch) Redknap was indicted for employing men who were not licensed Lightermen to transport Coals on The River, although he was not found guilty, but in 1815 he and an associate, along with a another Lighterman were prosecuted for stealing coal from a delivery on The Thames, The Lighterman was found not guilty, Isaac Moore, Enos’s Associate was found guilty and transported for 7 years, whilst Enos absconded and was never captured, although it looks like he continued to live in London and the environs. If you would like your own Family Tree researched, and your Family Story written up, please contact paulmcneil@timedetectives.co.uk for more details.